Come see this cute 4 bedroom, 2.5 bathroom, split floor plan home in Norfleet Pines! 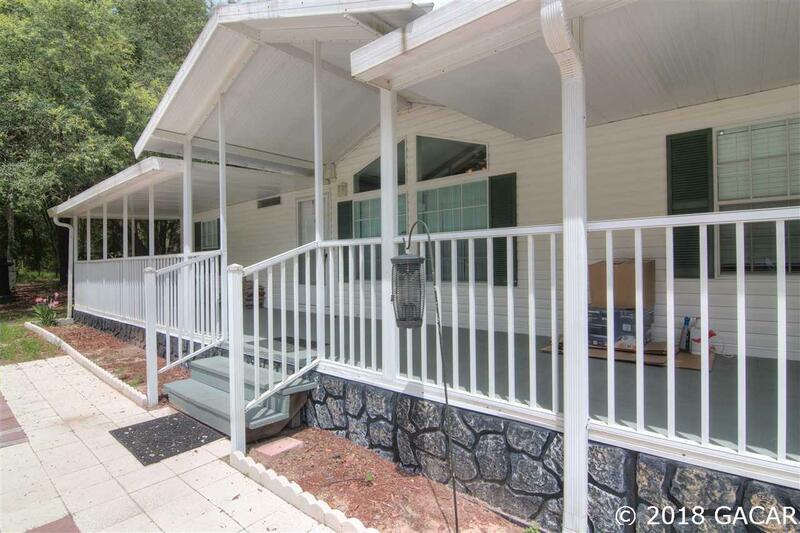 This immaculately kept mobile home has two living spaces and a large upgraded kitchen with new stainless steel appliances. Enjoy two spacious bedrooms with walk-in closets and a bathroom all on one side of the home. Across, lies the Master Bedroom suite with dual vanity bathroom and walk-in closet. The sliding glass doors from the family room lead out to a large wooden deck and swimming pool area, great for entertaining! 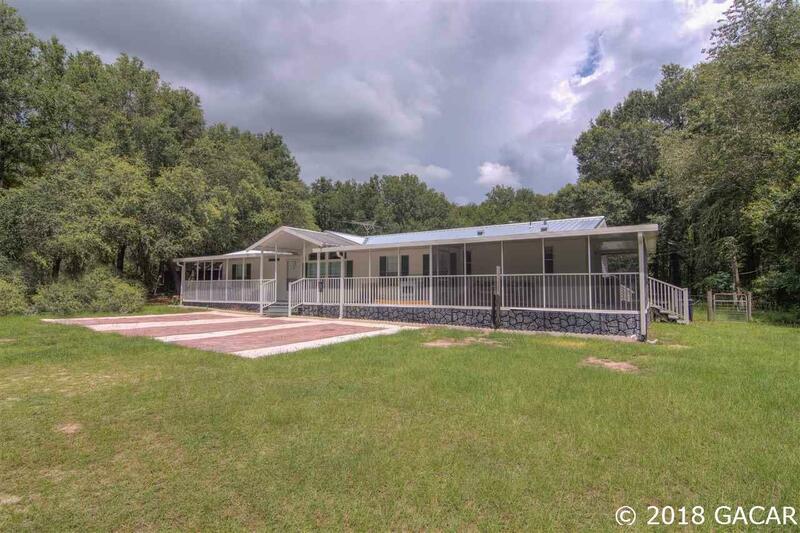 This partially wooded 5 acre property is located on the Gilchrist County line but minutes to downtown Newberry and a quick commute to Gainesville. Complete privacy on your own impeccably maintained property. New roof was just installed this year. FHA, VA and USDA eligible. Well and Septic recently redone and inspected. 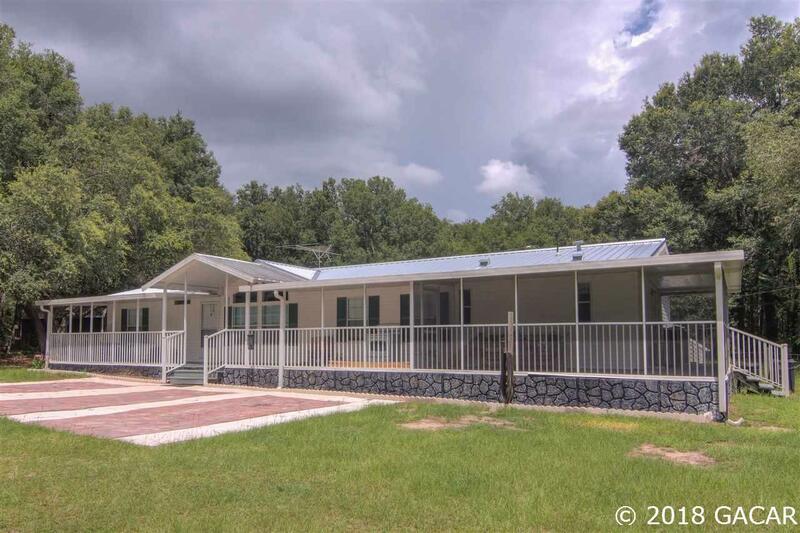 The partially wooded 5 acres includes a workshop and large storage shed with electric hookups. Bring your horses or livestock to this quiet country setting!